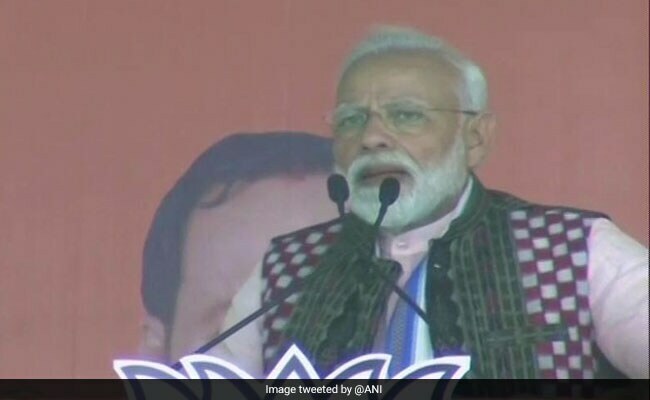 Addressing a rally in Odisha, PM Modi said, "Only 15 paise of a rupee would reach the poor during the UPA rule, the rest was swindled by unscrupulous elements." PM Modi said the grand old party, during its rule, was embroiled in multiple controversies and scams. Addressing a rally in western Odisha, he said, "Only 15 paise of a rupee would reach the poor during the UPA rule, the rest was swindled by unscrupulous elements." "How can they (BJD) think of common people when all they do is protect those involved in chitfund and mining scams. It is the PM Modi government that amended decades-old mining law and ensured that a part of the fund from the resources extracted is utilized for the development of local infrastructure," he claimed. The Congress and its ''malamilawati'' friends desperately want to oust this chowkidar because of the BJP's onslaught on corruption, he stated. "The country was hit by corruption for years since Independence. It is the BJP government that put a brake on these corrupt practices," the PM asserted. Sharing his plans for the country, PM Modi said the BJP government, if re-elected to power at the Centre, will set up separate fisheries and ''jal shakti'' ministries.